State criminal prosecutions of marijuana are continuing in Alaska despite the popular vote three years ago that legalized recreational cannabis. High-profile cases are moving through the courts against the four owners of the Alaska Cannabis Club, Discreet Deliveries and Absolutely Chronic Delivery Co. The four face felony and misdemeanor charges filed in 2015, accusing them of selling or distributing marijuana, and the three owners of the delivery services now face a charge that can carry as much prison time as murder. All were charged after marijuana was legalized in February 2015 but before cannabis businesses started receiving state licenses in June 2016. In the two years since the cases were first charged, Alaska has changed. There's a new commercial cannabis industry. Alaska's criminal statutes underwent sweeping reform, bringing implications for future drug cases. And feeling the crunch of a state budget crisis, law enforcement and state prosecutors have set priorities for the cases they take, and that rarely includes marijuana now. So why is the state pursuing these four cases? Alaska Cannabis Club: 54 years in prison? When Alaska legalized marijuana in 2014, it did not erase all cannabis crimes from the lawbooks. Businesses with state marijuana licenses are simply exempt from the criminal law. 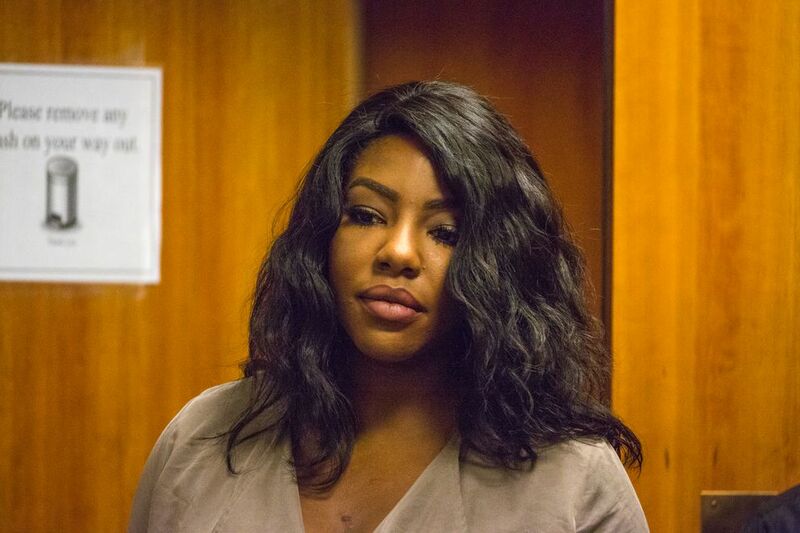 Alaska Cannabis Club's Charlo Greene, charged under her legal name, Charlene Egbe, faces the original charges brought against her in late 2015 — 10 felonies and four misdemeanors. 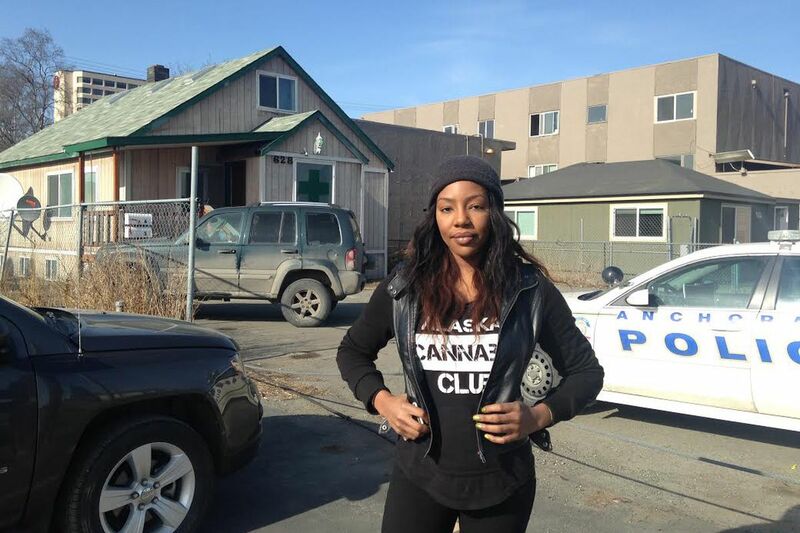 The state alleges Greene sold marijuana to undercover officers in her downtown Anchorage clubhouse, and in two subsequent raids police found more than six pounds of pot there. After almost two years, the case hasn't moved much. She's had multiple attorneys, most recently, Michael Cindrich, based in San Diego. 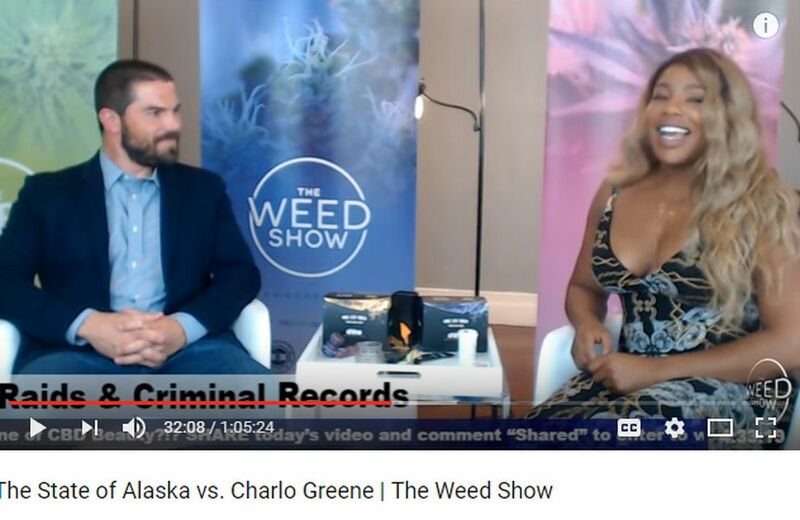 Greene, a former TV reporter in Anchorage, has her own TV program now on YouTube, rebroadcast on Facebook, "The Weed Show." On her May 23 episode, Cindrich told viewers there was a "long road ahead." He was still reviewing a massive number of case documents and couldn't say what course or timeline the case might take. On that episode, Greene called the case "isolating" and "saddening," like a "cloud that kind of follows everything I do." Since September, multiple news reports have said that Greene faces half a century in prison. "I'm looking at 54 years in jail for creating the Alaska Cannabis Club, in case any of you guys don't know that," Greene told viewers. But a maximum prison term like that isn't likely, given the nuances of criminal law and sentencing. In July 2016, a sweeping criminal reform bill went into effect after its passage by the Alaska Legislature. The law didn't change penalties for selling marijuana but it did reduce sentences across the board for drug crimes. Even before the bill passed, convicted defendants hardly ever received the maximum penalty — those are generally reserved for the worst repeat offenders, and Greene's criminal record is clean. More important for Greene, when the bill went into effect, Class C felonies for first-time offenders were reduced. What once would have carried a sentence of up to two years now is punishable by probation, with 18 months suspended. Greene faces up to a month in jail on each misdemeanor count — a maximum of four months in jail, as it stands now. But there is a chance Greene could face more serious jail time if the state chooses to pursue what's called "aggravators" on the charges — proving to the court that the charges caused more harm than a normal sentence allowed for. John Skidmore, director of the state's criminal division, declined to say whether those would be sought. In theory, if aggravators were proven on every single count, she could face 54 years. "I would bet a year's salary, without qualms, that this would not happen," Skidmore said. Cindrich declined to comment; Greene did not return requests for comment. The three other defendants face a more serious charge — an unclassified felony for allegedly running a criminal enterprise. The charge carries a minimum sentence of five years and a maximum of 99 years. Skidmore said that charge and others, filed in April 2016, came from further analysis of the evidence. "Several months down the road we realized this conduct could actually support a greater charge," Skidmore said. Unclassified felonies are typically associated with violent crimes like murder, kidnapping and sexual assault. The charges allege the highest level of drug distribution in the pot cases — significant amounts of drugs and money, Skidmore said. Discreet Deliveries owners Rocky Burns and Larry Stamper both face 10 felonies, including the unclassified one. Stamper's attorney, Jana Weltzin, said the addition of the unclassified felony was "very vindictive," used to pressure him into a plea bargain, though prosecutors have yet to make a specific offer, she said. Undercover officers bought marijuana from Discreet Deliveries seven times between late January and early August 2015, charging documents say. Raids turned up 31 pounds of pot and marijuana concentrates, $5,000 in cash and business records indicating $700,000 in sales over a six-month period, according to the charges. 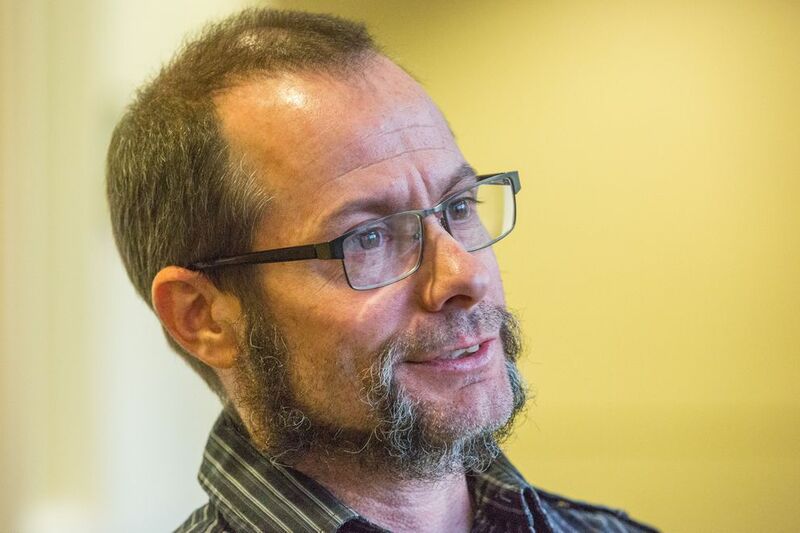 Weltzin, who is an attorney for many marijuana businesses in Alaska, believes Stamper's civil rights have been violated by police, and that the state is pursuing these cases to prove a point. "They dug their heels in so deep that they have to get a result or look silly," Weltzin said. "Well, it's silly either way. Putting people in jail and causing more financial harm to the state for a crime that's not a crime anymore is just silly." Burns is representing himself and has filed motions to dismiss the indictment and to stop evidence obtained through warrants from being used during trial. The dismissal motion failed and the case is set to go to trial in July. He declined to comment on his case. Meanwhile Michael Crites, owner of Absolutely Chronic Delivery Co. — ACDC — says his delivery service is still running. Crites has had two public defenders. The most recent, Michael Schwaiger, was removed as defense counsel during a May 17 court hearing. With Schwaiger's departure, Crites chose local attorney Kit Karjala as his replacement. Karjala currently faces federal charges alleging she smuggled drugs to inmates at the Anchorage jail. Anchorage police say they bought marijuana from ACDC five times between late May and early August 2015, according to charging documents. Police searched the business, finding "little cash" and 27 ounces of marijuana hidden above ceiling tiles, according to the charges. But even facing charges, Crites said, ACDC has "never shut our doors in two years." The company advertises daily on its Facebook page with its inventory, prices and phone number. It expanded to Fairbanks and, on June 7, announced it was heading to Denali for the summer season. 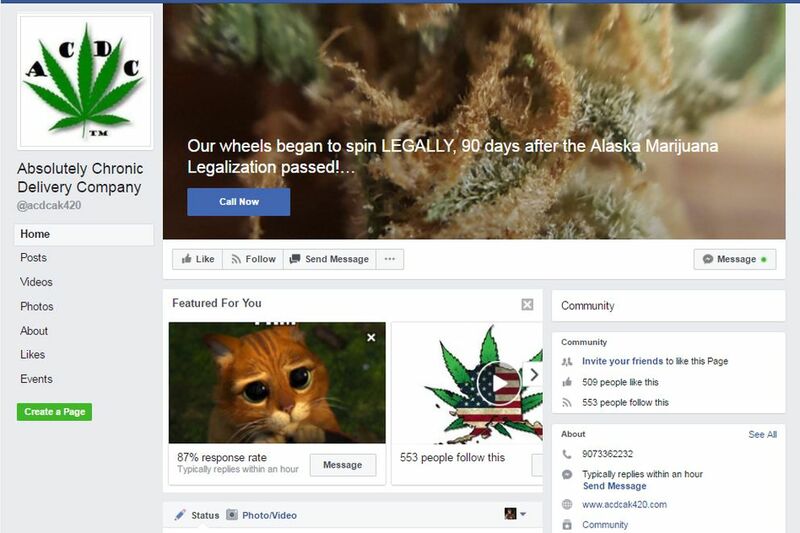 The business continues to ask for "donations" for the marijuana, or the delivered "gift" — similar language once used by the Alaska Cannabis Club. Crites says ACDC isn't turning a profit. All the money goes back into the community, he says. "There is a zero dollar figure at the end of the day from this company because it's a nonprofit organization, though it's not recognized by the state or federal government," Crites said. "Why? Because it revolves around marijuana." ACDC (Absolutely Chronic Delivery Co.) Facebook page screenshot, June 27. Police and prosecutors declined to comment about the continuing operation of the delivery service. Though a state budget crunch has caused the court system to reduce its hours on Fridays and cut some jobs in rural areas, Skidmore said that going after some distributors of marijuana is still important to the state. Pursuing criminal charges against Greene, Crites, Burns and Stamper was "particularly compelling," Skidmore said. "It's certainly our contention that they were not playing by the rules. 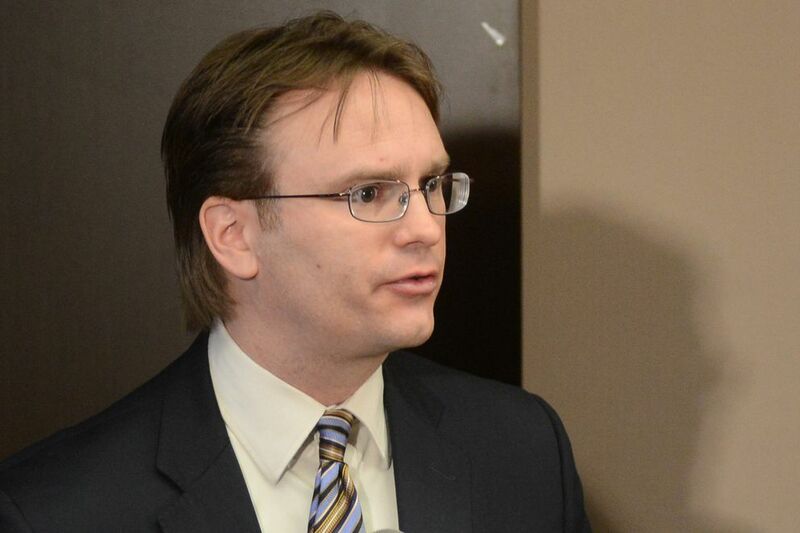 That's why we brought the charges and that's why it remains a priority for us," Skidmore said. Skidmore said he was frustrated that the cases haven't moved much in the nearly two years since they were filed. "Fortunately in these cases, there aren't victims the way there are in violent crimes … so that's the good thing for the people of the state of Alaska," Skidmore said. But Weltzin, Stamper's attorney, said she has asked for a plea agreement to help bring Stamper's case to a close. She said she has yet to see one since the additional charges were filed against him. Greene and Burns have also said they've never been offered plea deals. Crites was offered a plea deal but turned it down, he said. Plea negotiations happen in almost every case, Skidmore said, but he declined to say whether they were part of these particular cases. "It's just very strange," Weltzin said. "It's politically motivated, I think, because I just can't understand what would be the incentive for a state to want to spend that kind of money on this case." Meanwhile, the agency that oversees Alaska's marijuana industry, the Alcohol and Marijuana Control Office, has the authority to go after the black market. But it hasn't been a priority. Some businesses have complained that the agency's enforcement officers are focusing on relatively minor infractions — like one retail store's planned celebration on April 20 — while the unregulated black market continues unabated. Enforcement supervisor James Hoelscher said it was the Marijuana Control Board that told his team to focus on enforcing rules around legal entities. They could switch their focus if the board told them to, Hoelscher said at the agency's May meeting. But Hoelscher also said his officers — eight total, including him — don't have the time or resources to focus on the black market in addition to the thousands of liquor businesses and hundreds of licensed marijuana businesses that they regulate. "We have our hands full," Hoelscher said. At that May meeting, both board and staff members expressed dismay at what they say is a lack of resources and will to prosecute that hinders any efforts to fight black-market marijuana. 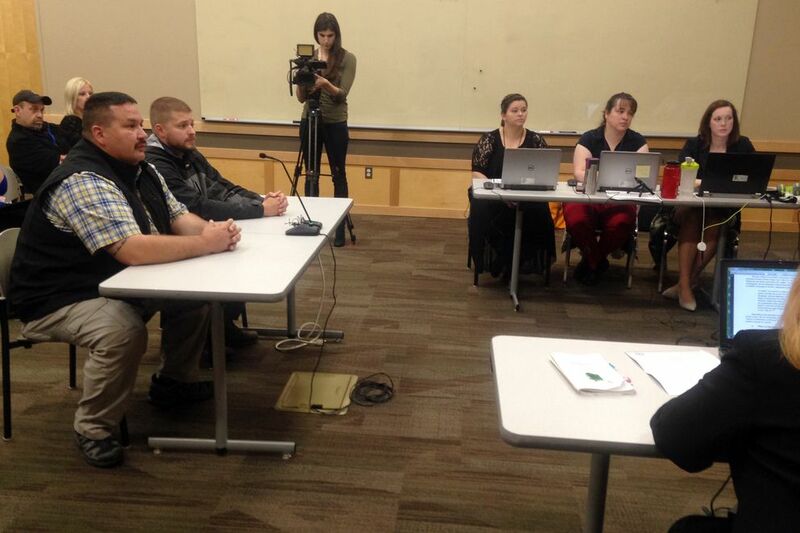 As an example, Hoelscher disclosed to the board that an officer had investigated ACDC's operation in Fairbanks. Nothing came of it, he said. "I don't think we're going to get any prosecution towards that whatsoever, and that was a huge dedication of that investigator's time," Hoelscher said. Peter Mlynarik, board chair and chief of the Soldotna Police Department, agreed: "It's not a priority for the district attorney. … I see stuff get dismissed all the time." "These guys can do all the work, but if it's not prosecuted, nothing's going to happen," Mlynarik said.